Athletes from Russia competing under a neutral flag won the country’s first gold medal at the Winter Olympics when 15-year old figure skater Alina Zagitova claimed gold Friday morning. The win follows controversy surrounding Alexander Krushelnitsky, who was stripped of his bronze medal in mixed doubles curling on Thursday after testing positive for meldonium. 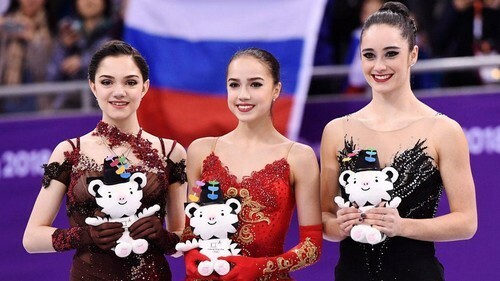 The women’s figure-skating silver went to another Russian, Yevgenia Medvedeva, with bronze claimed by Kaetlyn Osmond from Canada. This brings the total number of medals won by Russian athletes in Pyeongchang to 14. Prime Minister Dmitry Medvedev congratulated the figure skaters on Twitter. Russia is set to face off the Czech Republic later on Friday in the men’s ice hockey semi-finals.